I can still remember Sirius, Alpha Centauri and the red supergiant Betelgeuse being discussed inside the inflatable planetarium. It was actually funny since the scientists forgot that they were discussing to a group of 7-year olds and not to their colleagues. They kept on discussing those epistaxis-inducing terms such as, astronomical unit, dark matter, speed of light and many more. Even I had a hard time catching up with their lecture. Well, those terms didn't matter to us at all. What only mattered to us that time was the beautiful albeit artificial nightscape. But the most beautiful thing that I have seen inside the big, inflatable planetarium was the Aurora Borealis. The night sky inside the mini-planetarium was truly different but spectacular. An aurora (plural: aurorae or auroras) is a natural light display in the sky particularly in the high latitude (Arcticand Antarctic) regions, caused by the collision of energetic charged particles with atoms in the high altitude atmosphere (thermosphere). The charged particles originate in the magnetosphere and solar wind and, on Earth, are directed by the Earth's magnetic field into the atmosphere. We were in awe, including the teachers. Although I got sad knowing that we won't be having that astronomical phenomenon here in the Philippines since it's a tropical country. 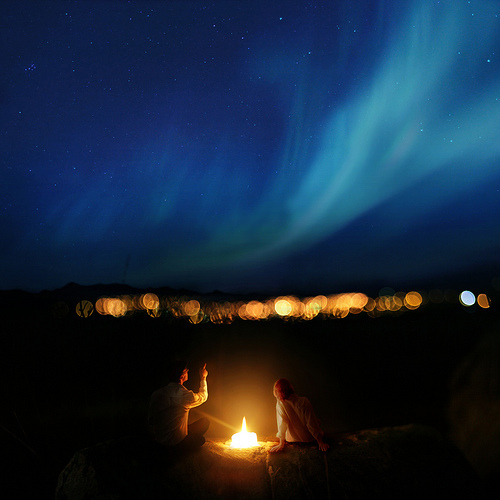 From that moment, the beautiful northern lights had inspired me to travel to the Scandinavian countries such as Finland, Norway, Sweden and even the island nation of Iceland. Another reason why I really wanted to visit those countries is to experience midnight sun. 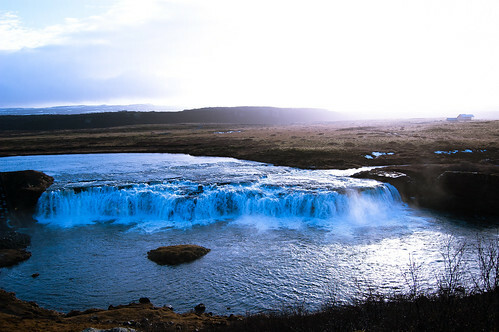 Because these countries lie within the Arctic Circle, the day is usually longer than night. Every summer (June 21/22), the sun sets around 11:45 in the evening or sometimes around 12 midnight, hence the term. It feels surreal, knowing that the 'night' is still bright. Wow! I know that it will require me a lot of money to get there. But I promise to myself to visit one of those aforementioned countries soon. I never thought that my obsession in Astronomy would lead me to this! 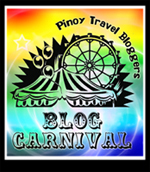 This is my entry for the Pinoy Travel Bloggers‘ Blog Carnival. Hosted by: Robx Bautista of The Travelling Dork. i remember this pa! what's the name nga of this activity? something-lab yun eh. i still have a souvenir sticker from them somewhere sa aking mga ata-ul :) wow, i also listed Reykjavic, Iceland as a go to place someday, to staere at the Aurora Borealis as well! Hi nik! How come may souvenir sticker ka? UNFAIR! HAHAHAHA Waaa tara lets go to Reykjavic. Naks! Aurora Borealis can be seen in Alaska too. I'm also fascinated with this wonder work of nature. They are truly exceptional! nako. matindi din ang fascination ko pagdating sa astronomy. pangarap ko din ang makakita ng Aurora Borealis. ang ganda tlga. Thanks for the great post and yeah i have been to Sweden and one great professional looking places on earth. wala akong alam sa astronomy pero gusto ko na rin makasaksi ng Aurora Borealis na yan! Activate! Gusto ko din to makita! When I was a lot younger, I was also fascinated about Astronomy. I had my own chart of constellations and such. 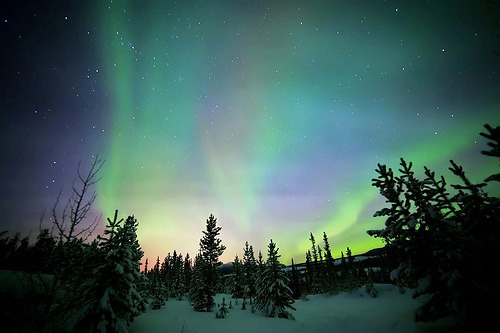 i recently read in yahoo (kainis, i didn't bookmarked it) recommending 5 best places to see the aurora borealis. i, too, wanted to witness, take photos and do a timelapse of the aurora borealis. as in seriously, i cannot die without seeing this... hehehe! i hope you you get to see this someday and then blog about it, ha, para may tips na ako even before going there! hi Renz, thanks for sharing. isa rin ito sa bucket list ko. some of my friends witnessed the Northern Lights in Canada. so i guess, it would be anywhere in the north, na during winter. that, and the summer nights! 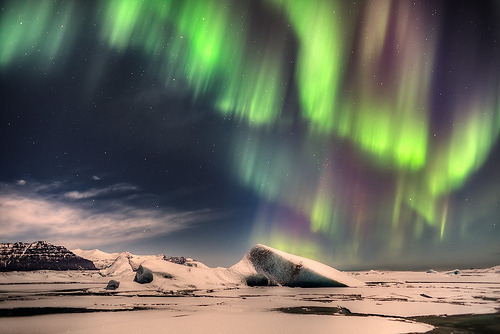 I was (and still am, to some extent) an astronomy enthusiast, and it's my dream to see an aurora borealis too! Kaso when I was in Europe, I didn't have time (or money) to go to Finland. Sayang they had some pa naman while I was there. Renz, pwede ka na mag organize ng tour for bagets sa Aurora Borealis.